If someone tells you to “wait”, what image does that conjure up? Would you feel happier if you were asked to “relax”? In fact the activity that you’re doing is very similar – you’re sitting around doing nothing, perhaps reading a book, perhaps just watching the world. “Wait” gives me a feeling of stress, or anxiety, the idea that I must watch the clock. 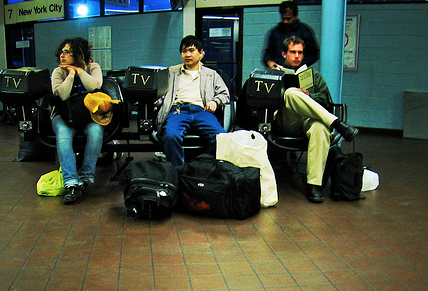 I think of bus stations, airports, doctors waiting rooms. “Relax” has me at the beach, in a park, with few immediate concerns. 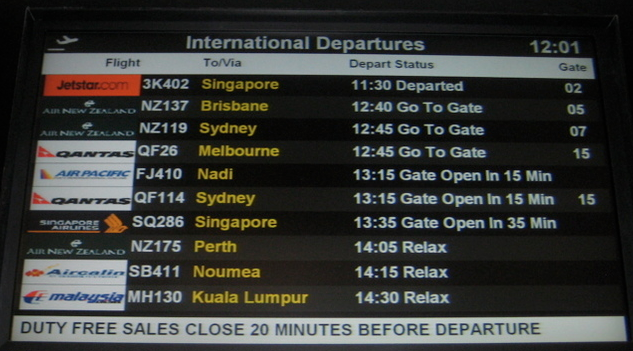 So when I flew out of Auckland airport I was amused to see the flight notification board, it told me to relax. A great reflection of the laid-back kiwi culture, and giving travellers a calmer feeling about their flights. What a difference a word makes.